But, if you are, you’ve stumbled upon the right blog at the right time! Because my latest little quilty-chat video is all about the essential tools that I believe you’ll need when starting out in the quilting game. There are tons of different tools that we (as more experienced quilters) could try and convince you (the naive beginner quilter) to begin with – i.e. fancy rulers, differing thread weights, designer patterns, expensive sewing machines. But, I think it’s more important to arm you, newbie patchworkers, with the most simple and basic tools to get started with. And then, as you become more confident and dedicated to your craft, by all means go get those fancy rulers that will help perfect your HSTs (that is Half Square Triangles); go and buy every shade of your favourite weighted thread; stalk those uber-cool quilt pattern designers on Instagram (a guilty pleasure! ); and treat yourself to that sewing machine you’ve had your eye on for the past six months! 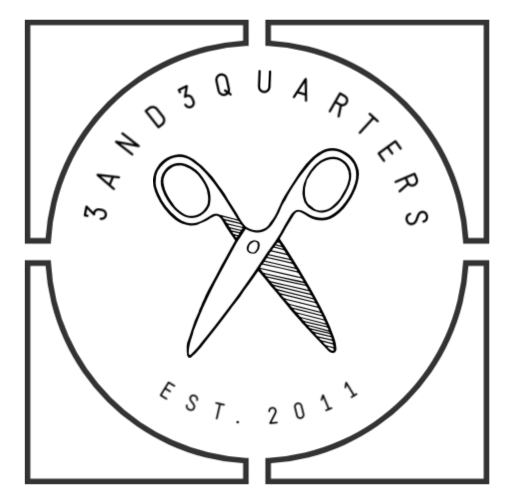 So if are that eager newbie quilter – welcome to the fun, the creativity, the endless possibilities and ever evolving world of quilting! P.S. Come visit my YouTube Channel for more quilty content! Previous PostInspiration & Where I Find It… Next PostSo Many Side Projects! Thank you! I’m so happy that you understand my sense of humour!! With spray basting, I found this YouTube video helpful – http://youtu.be/t2nPB8rGhiI – It’s a bit dated and daggy but it gives a great visual of the how-to. If you want to give it go, practice on a few scrap pieces of fabric/batting and see what you think of it. I bought my can at Spotlight – they usually have them with all the quilting accessories and fabrics. You did a nice job explaining the tools that you will need. Thanks for your effort.